ScreenSkills aims to foster a film industry where no one should feel their face does not fit. 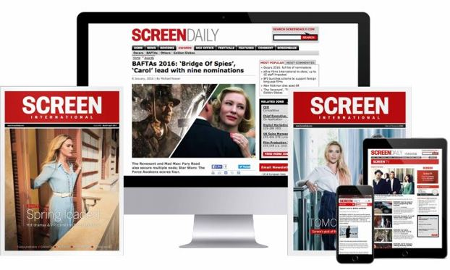 The UK screen body explains how it is urgently attempting to break down barriers. Aspiring filmmakers regularly cite the same barriers to breaking into and getting work in the UK screen industries. All are issues that ScreenSkills, the industry-led skills body for UK film and television, is trying to address. “We have diversity and inclusion targets in every course and programme we run and can begin to see alumni make their way in the industry as a result,” Ellis-Unwin says. Bursaries alone will not build a more inclusive workforce. In the past six months, more than 1,400 people benefited from courses and programmes supported by industry contributions (commonly referred to as ‘the levy’) to ScreenSkills’ Film Skills Fund or by the BFI, awarding funds from the National Lottery. All were targeted at skills shortages in UK film in roles including location managers, script supervisors and production accounts. Just under half went to programmes specifically aimed at improving diversity. These include the Birds Eye View Future Leaders in Distribution scheme targeted at increasing the number of women at the highest level in distribution — the only programme aimed at addressing the lack of women at the top of UK distribution — and a workshop designed to encourage more black, Asian and minority ethnic (BAME) stunt workers where there is an acknowledged shortage. A programme to develop neurodiverse talents in the southwest builds on work previously supported by ScreenSkills which produced five short films that were selected for Edinburgh International Film Festival. ScreenSkills is also working with Armed Forces charities to offer veterans opportunities to transfer their skills to screen. To provide greater opportunities across the UK, three-fifths of the last training commissions in film were with organisations outside London, from Wales and Northern Ireland to the northeast and southwest. ScreenSkills’ Diversity in Action conference in March offered practical workshops and information on issues from recruiting disabled talent to making job-sharing work. It also gave attendees an insight into the unconscious bias training ScreenSkills devised for the British Independent Film Awards to help make its voting process more inclusive and fair. ScreenSkills CEO Seetha Kumar focuses on the practical steps being taken to widen diversity in UK film. I have learnt through all my years in the industry that people often have good intentions. What trips them up is their fears and their blindspots — a metaphor used by American psychologists to identify the portion of the mind that houses hidden biases. This is one reason why we have not made the progress we would like to see in diversity across film, television, VFX, animation and games. It is an unusual person who does not mirror when they recruit. People feel more comfortable with others who resemble themselves. It is why a lack of diversity is an issue not just with new recruits but at all levels in our industry. However, the big shift in our sector from when I started as a programme-maker in television is that more people now want to do the right thing. Creatively, we recognise we need a kaleidoscope of narratives and are beginning to value stories that are richly textured and reflect our nation. To tell those stories with authenticity, we absolutely have to build a workforce that reflects our diverse population. The question is how to do it. Much has been discussed in the screen industries about improving diversity and inclusion. At ScreenSkills, the industry-led skills body for the UK screen industry, we aim to provide practical ways of achieving change. In everything we do — our outreach work to young people, in every training programme and in our mentoring — we have targets for diversity and inclusion. Our Diversity in Action conference [on March 11] typifies how we work. It was not a lamentation about the state of the sector but offered workshops and panels sharing useful information — on how to recruit disabled talent, how to recognise what impact your unconscious bias has on your decision-making, how people have managed to make job-sharing work in the film and television industries. But there are also issues that industry itself has to address. For example, we need to be far more transparent in how we recruit, thinking about how we can offer opportunities. It means planning, among other things. As ScreenSkills head of film and animation Gareth Ellis-Unwin has observed, if you rely on calling the same old names on Friday night for a Monday morning unit call, you won’t be widening the gate. We know the importance of relationships in this industry, we play a high-stakes game, but turning solely to those you have worked with before is not an even-handed recruitment process. We need to professionalise the industry and create pathways in and up, so that it is not only those with family contacts who get the chances but anyone with a talent and a willingness to work hard. It is one reason we are spending so much time working with education on bridging the gap with industry via accreditation, where industry experts assess media courses to identify the ones that most effectively provide students with the skills and knowledge employers want. It helps level the playing field. It is also why we are working hard to persuade the government to make the Apprenticeship Levy more flexible so we can truly open up the workforce. We are grateful to those in industry who support what we’re doing — by paying contributions to the Film or High-end TV Skills Fund (the levy), by taking trainees on their productions through our Trainee Finder placement programme, by volunteering as a mentor or speaking at our careers outreach events. We would love it if everyone did. There remain some, not many, who talk a good game on issues including diversity, but don’t pay the recommended 0.5% of UK production spend into the Skills Funds. Yet along with support from the BFI awarding National Lottery funds, industry contributions are vital to all the work we do in this area. We need to work together if we are to make genuine progress in creating a skilled and inclusive workforce and ensuring the UK remains a great place to make films and television. Sponsored by Screen Scotland: Producers Ciara Barry and Irune Gurtubai talk Scotland’s burgeoning production scene. Netflix’s Outlaw King starring Chris Pine was the largest production Scotland’s ever seen. Running from January 18-26, the first edition of this festival will feature screenings of over 140 short and feature films from more than 40 countries in over 30 languages.